I was a little distraught when I looked at my calendar today and realized that devLink – an awesome community conference in Chattanooga, TN – is next week. That meant that, once again, I was a little late in helping promote a great community conference. So late, in fact, that registration had been closed. Fortunately, John Kellar (the main guy behind the devLink) re-opened registration just for The Daily WTF readers. I realize it's short notice, but you should really consider attending. 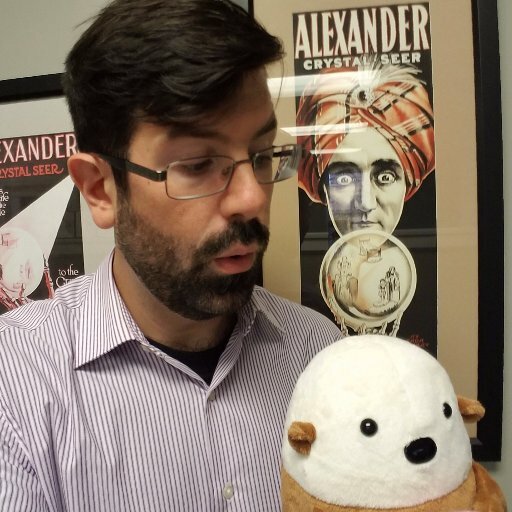 There's a great speaker lineup, a bunch of sessions, two great events (Bring Your Own Code Live and a Baseball game), and a lot of fun to be had in Chattanooga! Bring Your Own Code Live! This is a hard event to describe and, suffice it to say, is nothing like the normal Bring Your Own Code. That is, unless you submerge your keyboard in ice water before typing on it. BYOC Live is all about solving fairly simple coding challenges (such as an integer adder) in front of a small crowd of like-minded developers while under a little bit of duress (like freezing water). We've got a bunch of different challenges planned, and I'll be MC'ing the event. It's the first (and possibly last) time we'll be doing this, and I'm sure it'll be a lot of fun. Our friends at Component One and Inedo are sponsoring the event, and a ticket is included if you register for the "Daily WTF Barebones + Attendee Party Ticket" event. If you can't make the full conference, you can just head out for the party (pick "DEVLINK 2011 - Attendee Party Only Ticket"). There will be lots of food and, if you're one of the first 300 ticket buyers, and Component One will buy you two free drinks, too! Also - if you know anyone videographers in the Chattanooga area, please let me know - would be great to get this on tape. 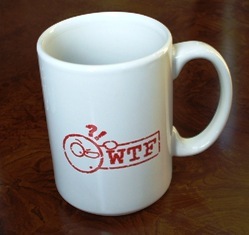 After registering you'll be able to get one of the elusive The Daily WTF mugs! 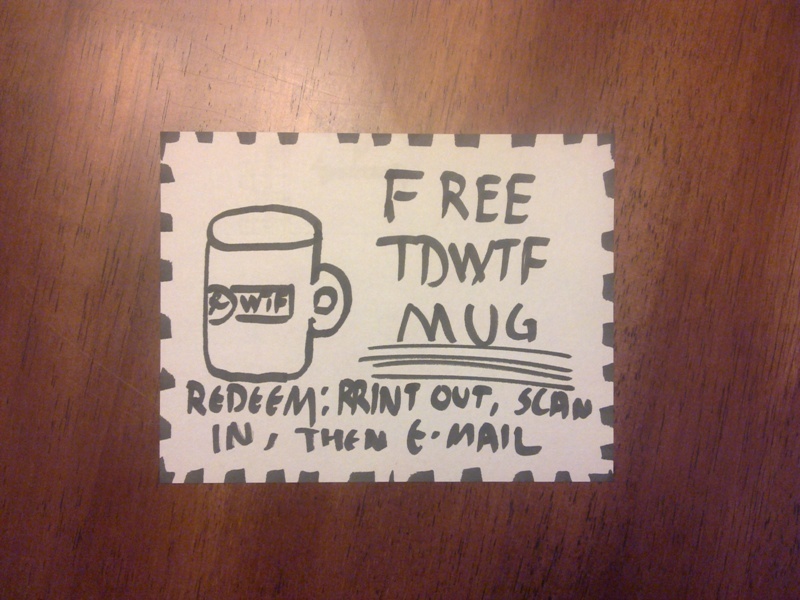 Simply print out this coupon, and then scan it to a .jpg file and send it to me. I'll also accept a photograph of the coupon. Note this only applies for the "Daily WTF Barebones + Attendee Party Ticket" registration. Unless of course you buy me a beer. The devLink Technical Conference is focused on improving the skills of the community and features some of the top industry experts and leading community speakers. At $125 a ticket, devLink delivers an extraordinary value and allows you to bring the whole team, including Developers, Project Managers, IT Pros and beyond. And in addition to the technical know-how, devLink is a chance to build relationships with others interested in expanding their horizons.